New Delhi based Startup MillionCenters is an online platform to help people to find learning centers near them. Sounds Interesting? Below is the complete story of this Startup which includes everything regarding the complete idea, how it works and how people can take the benefits from this amazing Startup. MillionCenters is an online learning marketplace to promote learning centers, hobby classes, and tuition centers among people who are searching for them. We provide an organized online platform to help learners find verified centers and tutors and discover the joy and value of learning new skills and hobbies in their personal and professional life. By bridging the gap between ‘learners’ and ‘trainers/tutors’ we aim to become India’s favorite place for discovering learning and teaching opportunities. How did the idea for MillionCenters come about? The market for learning and hobby in India is highly fragmented and when one of the founders was unable to find a verified and suitable place to learn a foreign language, the seed for this idea was sown. After realizing how difficult it was to learn a skill or a hobby from an authentic teacher or academy, MillionCenters was incepted as a unique platform to discover the joy of learning something new that is perfect for your personal or professional growth and fulfillment. Due to lack of authentic information, credibility and a one-to-one connection between learners and teachers, there is no reliable platform or source to discover the right center as per your interest, age, profession or preferences. Thus, MillionCenters was born as a simple to use platform for learners where they can discover verified tutors, trainers, and centers with their complete profile and user reviews. Also Read: Traditionally handcrafted baby foods- primitive techniques by Nutreatlife Startup. Technology is at the heart of our vision and we aim to transform the learning and recreational marketplace with innovative solutions for both learning seekers and learning centers. Plus, our aim is to also assist, enable and facilitate learning centers to effectively advertise and promote themselves through our platform with featured and sponsored listings. Due to lack of exposure and knowledge, tutors and trainers are not able to reach more learners and grow their business. MillionCenters provides a platform to trainers and center owners to operate professionally, get smart digital advertising insights and the right tools to reach more people while getting the opportunity to establish a one-to-one connect with learners. All this can be achieved with a dedicated app for learning centers and trainers as cloud solutions to assist them in every stage of their journey. MillionCenters is aimed at anyone who wants to pursue a passion, explore a fun hobby, learn a useful skill or simply find coaching classes near them. Whether you are 20 or 40, it’s never too late to learn something new and discover a creative joy through a hobby or recreational activity. Our target audience is anyone with a will to learn something new in life and pursue their passion. 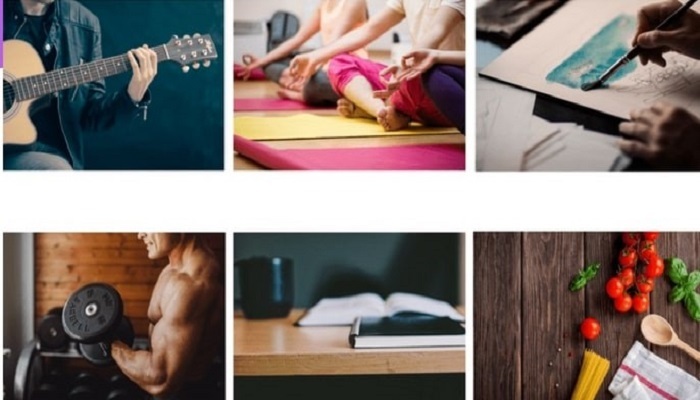 Be it music, yoga, dance, art and craft, fitness, tuition or language, users can easily explore and connect with the top tutors and learning centers near them with our platform. There are platforms for coaching, tuition, and competitive examinations. But there isn’t anyone who is willing to provide a common platform for hobbies and recreational activities. MillionCenters aims to fill this gap by offering an end-to-end online platform and portal that connects learners with learning centers. By providing users with the ability to search, explore and connect with verified centers and trainers near them – we are enabling people to discover the joy of learning in life. On the other hand, a lot of trainers and learning centers struggle to market or promote them effectively. Either due to lack of knowledge, competency or skills, they find it tough to get more students to join them. MillionCenters is providing such learning centers an organized platform where they can list themselves, share basic and advanced information as well as utilize modern tools and technology solutions for management, marketing, and communication. So, we are the glue that is holding both learners and learning centers together with our technology platform and smart solutions. MillionCenters is actively working towards its vision of becoming the go-to platform for learners as well as trainers. Currently, we have focused our growth and reach in Delhi-NCR but are soon expanding our presence in major cities and localities in India. In Delhi-NCR, we have more than 8000+ verified learning centers and professional trainers who have joined our platform. More than 300 users are searching and connecting with their desired centers through our platform on a daily basis.